Two (2) Gold Coins. 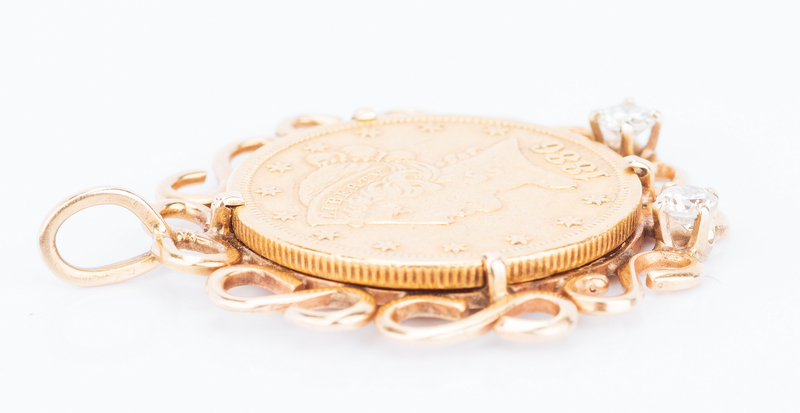 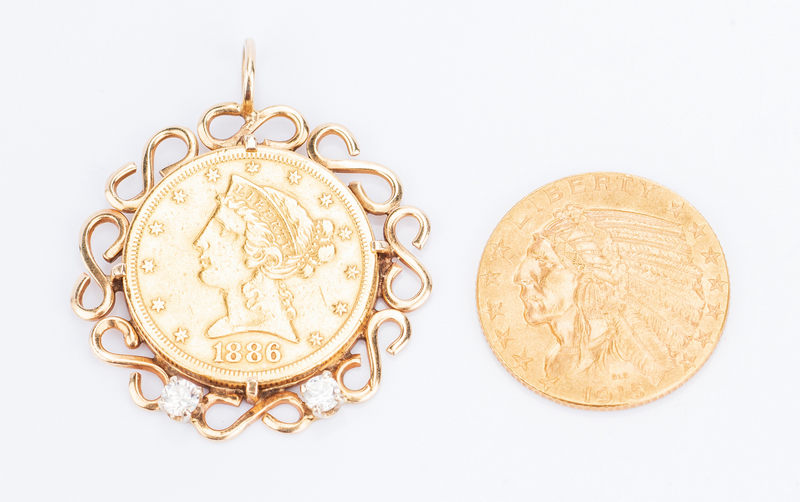 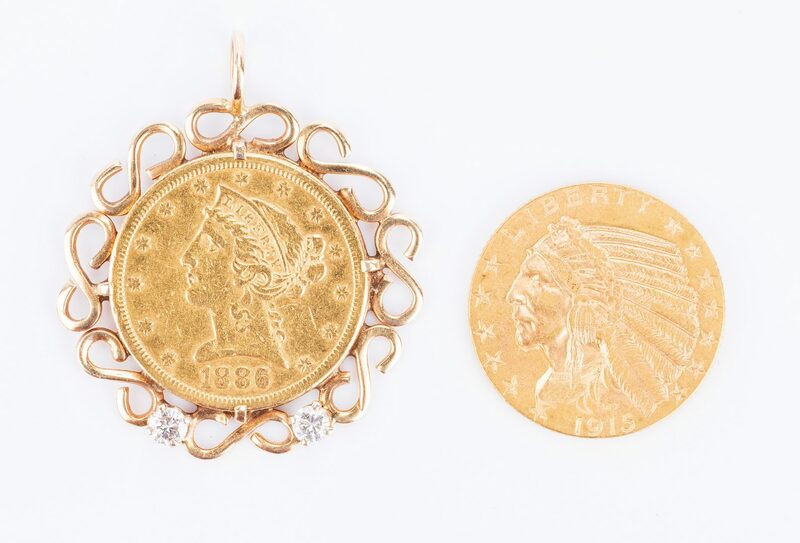 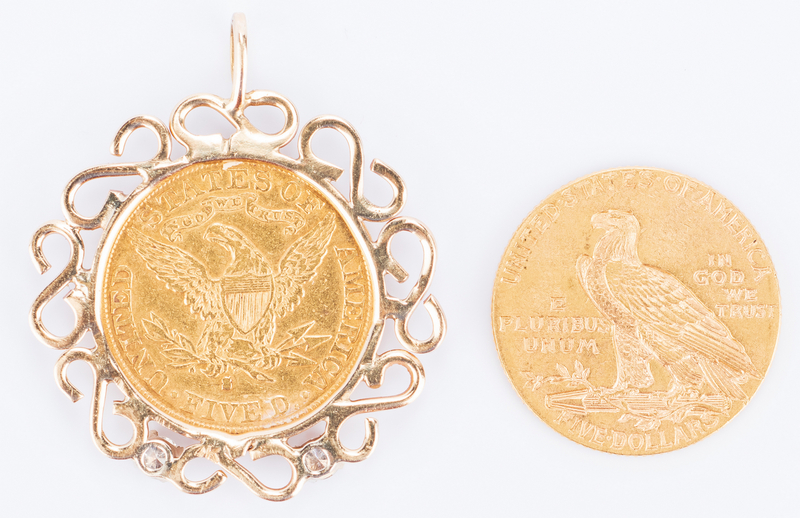 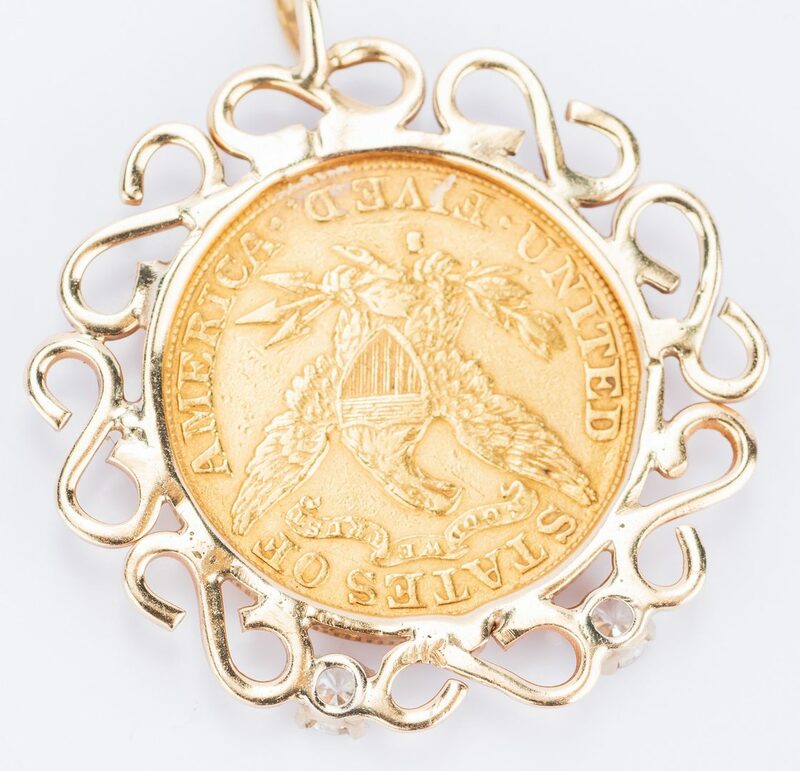 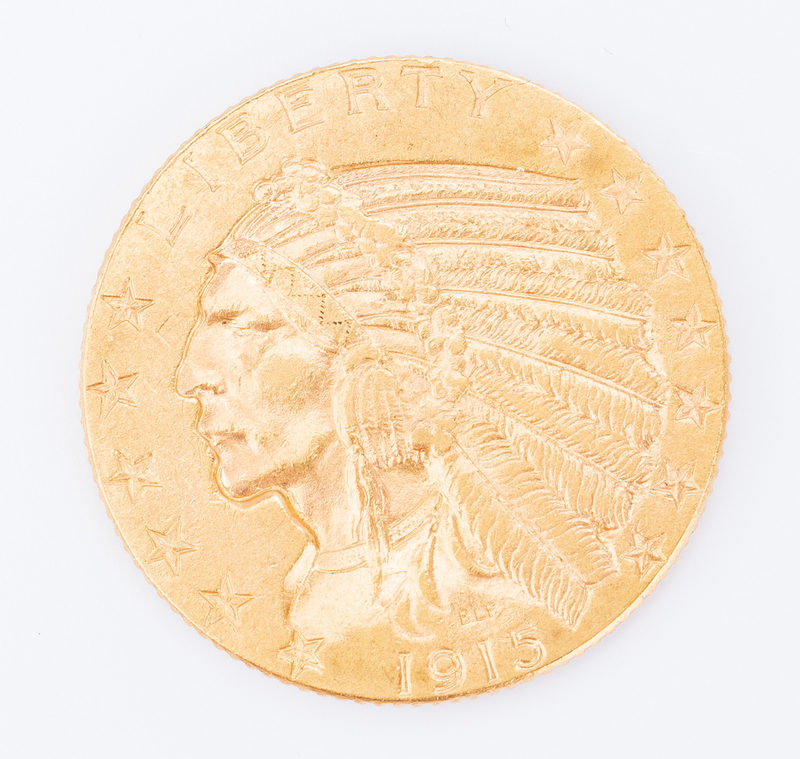 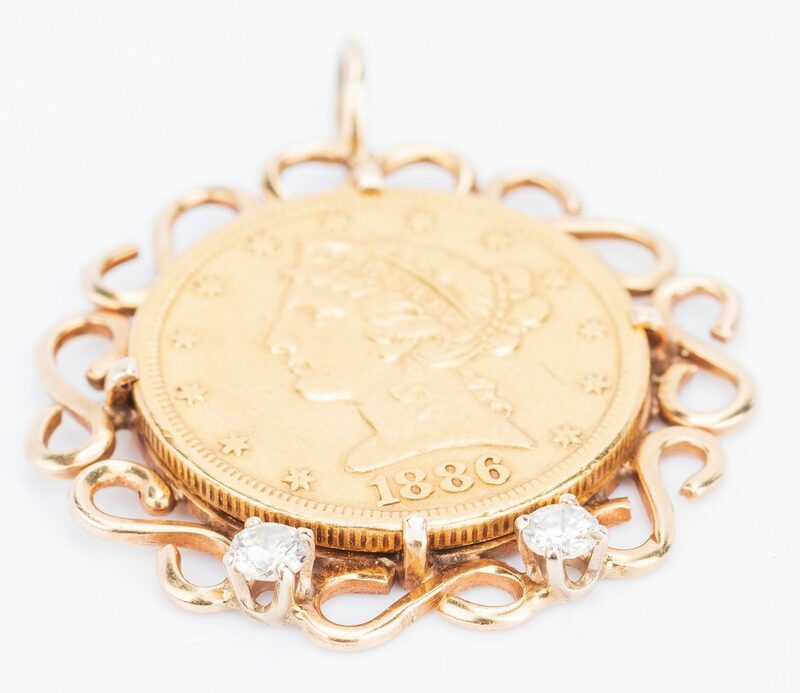 1st item: Liberty Five Dollar gold coin, dated 1886, circulated, mounted in 14K yellow gold pendant frame with two round diamonds, total weight of approximately .24 ct. (SI-I, J-K), coin: 21.54mm, 30.39mm total, 11.2 grams. 2nd item: Indian Head $5, Half Eagle 1915 US Mint United States Coin, reeded edge, minted in Philadelphia, 21.50mm, 0.900 fineness, 8.36 grams. 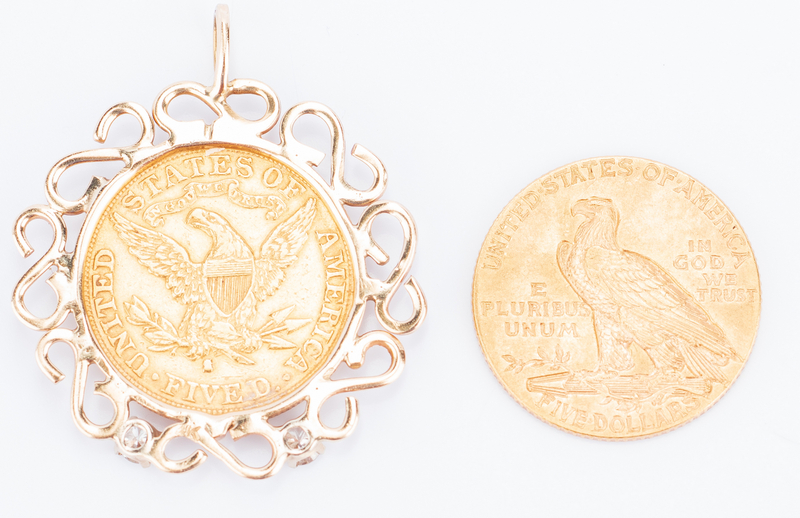 CONDITION: Both coins in circulated condition.